Seth Woolley, the Pacific Green nominee for Oregon Secretary of State, is the only candidate with a strong progressive platform based on healthier native forests, real election reform, and better, transparent auditing. Touch the blue headers below to read about the issues and hover over the buttons to the left to get more detail. the national dialogue has moved to the corrupting influence of unlimited donations creating bailouts for special interests and major donors of both parties. In 2008 a front group for powerful corporations opposed to the election of Hillary Clinton calling itself "Citizens United" was restricted from airing a hit piece against Hillary Clinton in the run up to her election due to laws against corporations influencing elections directly and immediately before elections. They challenged it to the Supreme Court who in 2010 shockingly overturned all restrictions against overt corporation and union involvement in elections. The court decided that corporations should have the human right to influence elections in an unlimited fashion as any individual could using the absurd doctrines of "corporate personhood" and "money is speech". In the wake of the Citizens United decision, the national dialogue has moved to the corrupting influence of unlimited donations creating bailouts for special interests and major donors of both parties. But Citizens United only dealt with one specific case: the ability of any donor (corporation or individual) “unconnected” with candidates to spend unlimited sums of money for or against federal candidates. Direct donations to candidates are still restricted. Here in Oregon the situation is much more dire. In Oregon, there are no enforced limits on all campaign donations — corporations, unions, out of state major donors like Loren Parks — it doesn't matter from whom. Anybody and anything can donate unlimited amounts to any candidate, period. This is true despite the fact that in 1994 and 2006 voters passed comprehensive limits on campaign donations. Furthermore, in Oregon, independent (even corporate and union) expenditures, while recently legalized in every state by the Citizens United decision, are simply not adequately tracked. A new report by People for the American Way analyzed the states' responses to the decision in at least requiring transparency or some form of regulation. While transparency for direct donations are fairly strong here, only five states were worse than Oregon in requiring transparency for so-called “independent” expenditures. This is a gigantic loophole that we're seeing abused at an exponential rate and the incumbent's office has done virtually nothing to provide accountability even for the limited filings it does require, for which the filing threshold was recently raised. The 2006 Measure 47 that created comprehensive limits on donations to candidates has remained unenforced while a suit to compel enforcement goes through the courts. It is now at the Oregon Supreme Court level, likely its last stop in the court system. Oral arguments have been delivered, and we await a decision, but no argument has been advanced as to its constitutionality. It is thus almost assured to withstand that test. Update: The Oregon Supreme Court majority agreed with the incumbent on a minor technicality allowing her not to enforce it without revisiting the Vanetta I decision, but left open a route to enforce it described by the minority opinion. It is more critical than ever that the incumbent is removed from office so the measure can be enforced. Enforcing Ballot Measure 47 is just a start. So-called independent expenditures will remain a gigantic … loophole due to the Citizens United decision. The powers that be still oppose campaign finance limits, including Democratic incumbent Kate Brown. In 2008, Brown came out “in favor” of campaign finance limits but has done nothing meaningful to help resolve the situation. Brown could decide at any time that she is in favor of enforcing the law and eliminating legalized bribery of candidates from Oregon's election system. Enforcing Ballot Measure 47 is just a start. So-called independent expenditures will remain a gigantic and even more used loophole due to the Citizens United decision which was recently upheld by the Supreme Court to overturn a one hundred year old ban on corporate spending on candidates in Montana. While Measure 47 contained provisions banning similar independent expenditures, the rest applying to direct donations will remain intact once enforced. Oregon will need transparency laws created and applied to ensure the public can follow special interests. Oregon should also try to enforce its own ban on independent expenditures in defiance of the U.S. Supreme Court's giveaway to corporate interests by using arguments not already presented to the court. The Secretary of State's office is usually an originator of accountability bills, but under incumbent Brown it has not been active at all in addressing the issue of independent expenditures. Instead, the current Secretary has claimed that they don't have the budget to publish a few PDFs on-line. The Democratic Incumbent campaigned for office with the claim that she was for transparency by passing a bill to change the color of the font of out of state donations to red on the ledger web page of the campaign finance database. While in office, however, the interface has remained substantially the same as when she took office. There's no improvement in the ability of the public to understand the reports dumped from their database. Seth has created donations reports and professional graphs that break down data into easy-to-understand connections that allow people to follow the sources much more clearly. When Seth is elected, he will personally oversee the implementation of a companion informational system to ORESTAR to track public donations not just to the amount legally required. The Secretary should be assimilating public records from all accessible sources such as federal and state committees and corporate boards, tracing money as far back as needed to ensure that the public is made aware of the special interests backing the big money measures and candidates. Oregon has fairly robust speech protections, and in light of the availability of monied speech, the public should at least know the source of the speech it hears. We shouldn't have to depend on organizations like Common Cause to provide cost-constrained reports on donations. The Elections Division itself should be providing not just the data, but intelligent assimilations of the data fit for public consumption and further analysis. We need a Secretary of State that will not just publish what data it already has, but also the Secretary must use the power of the pulpit to design and vet bills to ensure we are as transparent as legally allowed. Two very straightforward proposals prevent both types of voter suppression: default voter registration and the initiative primary. Both candidates for the major parties in Oregon claim to be for the democratic process, but the truth is that due to special interest meddling, they both propose different forms of voter suppression. Voter suppression is when anti-democracy special interests make up rules to prevent people they sometimes disagree with from having the right to participate in the electoral process. The most famous form of voter suppression is the “Jim Crow” system of the historical U.S. south that effectively worked to suppress the African American community's right to vote after they were freed from slavery. The typical claim of both sides are propagandized with dubious and unsubstantiated claims of “voter fraud”. Don't be fooled. Today, the Republican is under strong pressure to reduce voter turnout by restricting the ability of get out the vote efforts by public employee unions to improve Democratic Party turnout. Higher voter turnout often improves the vote count for Democrats in U.S. elections. The Democrat, however, is under strong pressure to harm the initiative process, funded by the same public employee unions to hurt Republican Party issue success. Initiatives in states controlled by Democratic majorities such as Oregon are often the only route left for Republican proposals to have a chance of passing. In completely expected fashion, both candidates have reiterated support for voter suppression including the above issues promoted by their respective special interests. The Democratic incumbent universally supports the policies supported by the so-called Ballot Initiative Strategy Center, a partisan group funded by powerful public employee unions. Under her bulldog leadership to suppress voter petition rights, the state of Oregon received an A grade from them, demonstrating near complete alignment with their voter suppression practices. In this case, they claim “initiative fraud” while throwing out more than 40% of petition signatures gathered by petitioners for mostly clerical errors, violating the voter's intent. The Republican challenger has stated support for an unenforcable idea to suppress get out the vote efforts of Democrats, especially public employee unions that often send out people to remind people who haven't voted yet to turn in their ballots. These volunteers will often hand-deliver ballots en masse to the county clerks after they are filled out at the home because it is too late to mail the ballots in on time. In this case, they claim potential “voter fraud” without any evidence, which would dramatically hurt participation in our democracy for busy low and middle income workers. To address both of these forms of voter suppression, we need not just opposition to their attempts to legislate their own interests into preserving their power. Two very straightforward proposals prevent both types of voter suppression: default voter registration and the initiative primary. These two ideas are not new. Ironically, both pro-initiative groups and pro-turnout groups have stated support for these ideas in the past, but they spend so much effort opposing the others' suppression work that they have lost sight of the pro-active consensus-driven goal that everybody should participate, not just that their own adherents should participate. One solution to getting both passed is to support both at the same time, leading to much more participation with no total harm against the other side since their effects would balance out. The initiative primary was proposed by pro-initiative campaign finance reform activists Harry Lonsdale and Dan Meek. Seth would start with their idea and suggest a few potential improvements. The current proposal is good enough already, but it may be made even better. First, he would leave the existing signature requirements and system in place for paid signature gatherers and provide the option for participation in the initiative primary only for initiative campaigns that adhere to the Measure 47 system that they are normally exempt from (not being candidates). Second, he would require just 1000 signatures collected only by volunteers, where at least ten signatures come from each county of Oregon's 36 counties (or the counties where the initiative is proposed to cover). For smaller districts than statewide, only 100 signatures would be required. Third, since there would be a very large number of initiatives, the initiatives with the most signatures gathered by volunteers that meet the threshold will be chosen to participate such that each individual ballot would be restricted to no more than ten initiatives. Fourth, the proportion of constitutional and statutory initatives (recalls would not be part of this system) would match the equal proportion qualified above the first stage signature requirement. The method of equal proportions used to allocate representative seats from the U.S. census will be used to determine the proper ratio. Fifth, the number of people required to vet each initiative would be twice the number currently required to sign a petition such that if any initiative gets more than 50% of the vote, it would both be promoted to the general election, and it would receive the same amount of affirmation as a standard petition would have to receive. The total number of allowed initiatives would be the reciprocal of the required fraction of the electorate required to qualify times the number of each type determined by the ratio above divided by two. Sixth, voters would receive a primary ballot that contained a randomized set of the ballots but who received what on their ballot would be a matter of public record with registration data so campaigns would only have to mail information to those who would be voting on their issue (though it would still be state-wide). Seventh, to prevent crowding out the ballot on only a few issues, initiatives on a similar topic that would be mutually exclusive would be limited to the top two signature receivers for participation in the primary. The end result would be that about seventy initiatives may qualify for consideration in the primary, but the same amount of public support would be required as today without the need for big money to get the correct number of signatures, and without supposed concerns regarding initiative fraud. Currently a U.S. Supreme Court decision from 1988 regarding Colorado restricts the ability of states to ban paid signature gathering altogether, so an alternative structure such as the above may solve the problem by providing a mechanism for the public to support truly community-derived and vetted ideas instead of going after restrictions. One of the proposals often put forth by Democrats to increase voter turnout is to allow “Same Day Registration”, but in Oregon, with all mail-in voting, we have a better solution. Currently there is a requirement to register 21 days before the election. Oregon used to have a more liberal registration system, but when Antelope, OR was overtaken by a religious cult, the rules were changed to avoid a one-day takeover. Unfortunately it has caused more damage than it hoped to solve. Instead, we should allow anybody up to the day of the election register at the location they lived at 21 days before the election. This solves the Antelope, OR cult takeover problem with as much force as the current system, while allowing anybody, regardless of moving status, to participate fully in our elections. This would especially enfranchise young people who often miss their ability to vote after the election discussion has just started to heat up. Seth will lobby the legislature to pass a bill similar to HJR 43 (2007), which would enable same day registration. But going further than that, we need to use the infrastructure we already have with on-line voter registration to make everybody by default a voter and send everybody a ballot who the state already knows is qualified. Currently our mail-in ballots already require a signature that confirms that you are still a resident and eligible to vote. If the state sends a ballot to somebody who might not be eligible due to a clerical error, the requirements to vote just need to be listed on the ballot envelope same as we have now where you affirm your residence. Participation in elections is a matter of public record and can already be requested by an independent auditing agency. Regular audits of the registration rolls would be done as they are now by both the public and independent auditors so we already have extensive fraud protections protecting voting eligibility. Further, the penalties for known voter fraud are strict felony crimes and intentionally voting when ineligible has enough of a deterrent as it is. When we implement default voter registration, our turnout will go from supposedly fairly decent numbers to abysmally low, reflecting how few people actually feel empowered by voting. When this is done, too, a dramatically high amount of people will become unaffiliated voters, more than the 1/3 of currently registered (much higher the younger registrants are). The major parties are extremely small minorities who act like they have a lot of support, but the non-voters and non-affiliated counts are vast and are the real majority. Voting must be made easy and convenient using effective solutions that already exist on regular paper, not with mere wasteful and proprietary iPads inaccessible to independent security audits. In the 2008 campaign, Seth introduced a proposal to redirect dependence of the education system's common schools fund away from timber cuts on state own lands and forests. Recently, there has been a growing movement to preserve nature through the recognition that nature is held in trust by the government and that we as citizens have rights to preserve our future and our environment as a result of the legal recognition of sustainable stewardship. This concept is called “Nature's Trust” and revolves around the idea of passing ordinances that codify and make explicit our right to protect the environment, creating an obligation upon government actors to consider economic sustainability and environmental sustainability holistically. The State Land Board already must manage our land sustainably. All commercial timber harvesting, however, is simply not sustainable. The preservation of our natural heritage is vital to our quality of life, our health, and well-being. The State Land Board is currently occupied by three Democrats -- the Governor, the Treasurer and the Secretary of State. The Democrats have refused to approach the issue of environmental destruction as a major funding mechanism for our schools and have voted against even the status quo, further increasing logging on state lands, abrogating past agreements made to protect a balance of state lands. Seth is working with Nature's Trust advocates and the environmental community to provide an alternative revenue stream for schools by first encoding the imperative of protecting our natural resources for future generations into law while simultaneously diverting funding to a money fund by gradually transferring state forest lands to a Forest Trust, using revenue from new carbon emission fees as the means to fund purchases by the Forest Trust at a rate consistent with the expected rate of logging extraction. The plan requires no bonds or debts and provides carbon offsetting by the preservation of old growth forests, which are massive carbon sinks. This solution is a win-win in just about every way: Carbon fees take into account the actual cost of carbon emission and reduce greenhouse gases that lead to global warming, and creates incentives to shift to renewable energy without tax credits that cost the state significant revenue to pay for social services. The fees are tied to mitigating direct effects and are related to a single subject, completely consistent with the authority of the state to preserve the general welfare in line with Constitutional requirements on legislative power. The public education system doesn't see any reduction in revenue from the previous plan that required setting aside land without any economic incentive to keep that land preserved in the long run. Our children, who go through the public education will live to see native forests and later stage successions of forests that are more protected from fire, where fire is a natural part of the landscape and ecosystem rather than a devastating force that hurts our health and safety. Further, there are sound economic reasons to protect the land just for the sake of protection thanks to the indirect effects of forest preservation. In study after study, forest preservation and a reduction in timber extraction is tied to increasing economic vitality. Because timber extraction is well less than 1% of the school budget, it makes more sense to preserve the forests and reap an increase in the general fund that would many times over outweigh the reduction in short term gains from timber extraction. It is thus wholly irresponsible and a violation of duty to cut down old growth or regrowth for commercial profit in our state forests and call it sustainable management. Both … are taking campaign donations from the same timber industry interests, and have similar plans regarding forests. Both the Democratic incumbent and the Republican challenger fail to acknowledge the importance and science of native forest conservation, are taking campaign donations from the same timber industry interests, and have similar plans regarding forests. In the 2008 campaign, both candidates, Democrat and Republican came out with identical logging proposals in terms of board feet and when it came down to the vote, Brown obliged her donors and nearly doubled clear-cutting in the Elliott State Forest. The Democratic incumbent and her allies on the State Land Board are not friends of our forests, nor our economic future. Only Seth Woolley has a common sense plan that involves the public-interested stakeholders and is designed for real results that actually protects our native forests, our short and long term economy, and our quality of life. make auditing more efficient by … creating automated processes … opening up access to government. Oregon has only a limited budget for Performance auditing and other legally mandated audits, so the Secretary's job is difficult, though auditing generally restores more funds than it costs. Oregon could stand to both have more resources for auditing and to do auditing in a more efficient manner. Oregon should make auditing more efficient by focusing more resources on creating automated processes and policies through rule-making funded by the Auditing Department to spend more resources up front opening up access to government machinations and internal data. As the data is gradually and permanently made more transparent, the public will now have a chance to contribute to self-auditing its own government, where the interests of taxpayers and service recipients will merge to benefit both. Oregon should use open data and publishing formats, as proposed by Jerry Brito and Princeton's Center for Information Technology Policy. The Oregon auditing department is in charge of at least reviewing the internal audits performed by the top thirty agencies and about 1700 local government entities and municipalities. Many of those audits are not being completed due to budget concerns, but audits generally find more waste than they cost. This means the Secretary must be using the office to force compliance with state requirements for auditing by publicizing the list of non-compliant entities and pushing for more complete funding of auditing review for the auditing department. There is no excuse that audits are ignored while we are short on funds -- auditing should be increased to at least be complete with some meaningful regularity while we have fewer resources to ensure we preserve our limited resources. Instead, we're being told that the incumbent in 2010 had a banner auditing year that demonstrates competence enough to continue with the status quo. However, 2009 and 2011 were not good enough years to trumpet. In 2009 the Auditing Department was well below target and there is no reason to believe 2010 was anything other than an anomaly because the department didn't fundamentally change its methodology. Instead, a single audit of the Department of Revenue that showed it did not collect some money it should have accounted for two thirds of the claimed returns that year -- clearly an anomaly. By working on actually fully performing audits and working toward increased transparency in departments that are audited, we can ensure every year is a banner year, not just one. Meaningful performance auditing must take a Thoreau-like holistic approach to identifying and addressing the core functions of government. In addition to funding basic legally-required auditing and audit reviews, the state also performs rather limited performance audits, though some of the most important questions are not being asked. While asking the question of whether or not an agency is sticking true to its stated performance missing, we must also ask the question of whether or not agencies are working against the missions of other agencies. For example, while one agency will issue permits to bottle our water to bottling giant Nestlé, the missions of the Departments of Environmental Quality and Human Services may also be affected, creating more work for all agencies. The answer isn't a doctor's prescription that involves applying more and more cross-acting allopathic remedies and patchwork-pills, the answer is to find the root cause and prevent the problem in the first place by internalizing all facets of government in a holistic fashion in any auditing analysis. Meaningful performance auditing must take a Thoreau-like holistic approach to identifying and addressing the core functions of government. Recall and initiatives are a rather crude way of working around our dysfunctional elected leadership, and they will always be necessary. However, we should address the root of the problem — our “winner take all” election system that created our “two party system” by allowing minorities to win with only the most votes counted, even without a majority of the votes. There are solutions to this problem, most of which revolve around “ranking” candidates in order of preference, first, second, and third, and so on. This allows election officials to count elections using an “instant runoff voting” system where the ranked choices are counted, and if nobody gains a majority, the last place candidate is eliminated and the second place votes, and so on, are counted, until only one candidate is left or somebody receives a majority of the votes. None should have to vote for the lesser of two evils. Nobody has to. There are other election methods and reforms we could implement, even different counting methods, especially if we want to fix our gerrymandered districts, by implementing proportional representation. We should consider more fundamental reform to our election methods to create inclusion rather than division in the legislature, and to allow the new plurality of voters (and many now non-voters) unaffiliated with the “two big parties” to have a meaningful say in the outcome of our elections. None should have to vote for the lesser of two evils. Nobody has to. In 1908, Oregon voters used the new initiative process to authorize, via a Constitutional Amendment (Art. II Sec. 16), both ranked ballots and proportional representation if we enact them. Polls now show many party members are dissatisfied with their own party even if they vote party-line most of the time out of fear of the other more extreme party. By involving everybody, including moderates and third parties, we can have a more informed and more diverse discussion dissuading candidates from proliferating “wedge issues” that drive us apart and the “partisan” politics of negative campaigning out of fear of the worst evil. Using open and free software and hardware is the best way to ensure that the state is in compliance with its own policies regarding executive secrecy and vote process integrity. Elections are the cornerstone of our democracy, and as such cannot ever be subject to “trade secrets”. Without auditable software and hardware counting our already paper-trailed ballots, election auditors rely on statistical sampling to ensure the integrity of our elections. The entire process of voting and indeed all government processes should not ever have trade secrets nor royalty-restricted patents. Copyrights preserve the intellectual effort of voting system writers on their own. In order to properly secure our election system, we must presume the Kerckhoffs-Shannon principle, "The enemy knows the system." Every serious security expert understands that a system can only be called secure if it cannot be broken even if enemy knows how the system works. Seth will require that audits of all election software and hardware be open and accessible to the public and remove all secrecy policies and rules preventing such audits. Seth will also mandate that statistical sampling of our paper ballots provide at least 99% confidence in the computer tally of each election. It is important that all documents past and present be in open formats so that our archives do not get lost due to the use of proprietary, closed programming code that can disappear at any time and be shelved permanently under claims of trade secret. Ensuring we use open software, especially free software, means that our government processes are documented freely beyond that our document formats are published in open formats. In computer science, a program is the useful application of algorithms to data. Processes (what we call algorithms) are just as important as data in ensuring open government programs. Once the proper free and open formats are chosen the main issue left is ensuring public privacy is respected and executive secrecy laws (such as employee review) are respected with proper rule-based protections. Using open and free software and hardware is the best way to ensure that the state is in compliance with its own policies regarding executive secrecy (such as the necessary secrecy of encryption keys) and vote process integrity. Without such openness we have no way of knowing whether or not the secrecy rules we do allow are being followed appropriately. The current Democratic Secretary is violating the law in preventing the Pacific Green Party from having ballot access. Regarding 2005 HB 2614, with moderates from both the Democrats and Republicans, Seth fought to repeal this undemocratic provision that made getting any independent on the ballot nearly impossible. Seth understands the need for more choices and knows that the young are no longer registering with traditional major parties for a reason: we need better election laws, rules, and interpretations to allow grassroots candidates not to be hindered by statutory second and third class status. The Secretary of State is the chief elections officer, a power that allows it to compel compliance with election law. Often, the legislature is unable to come to agreement on a state redistricting plan. The best districts could be computed from criteria in ORS 188.010, with community input to meet ORS 188.010(1)(d). Specifically, ORS 188.010(2) outlines that no political party, not just two, should be favored by the processes used. As a spatial database expert, Seth would favor no political party and instead develop open and free software to meet the entirety of state law. Currently, in Oregon, many seats are unopposed by the other major party due to bipartisan compromises to reduce the number of competitive seats. With a recomputed redistricting based on neutral criteria, it will turn out that we get an increase in debate due to closer races and an easier opportunity for minor parties to participate in broadening the debate. The Secretary of State administers our elections, audits our government, manages files and archiving, and sits on the Land Board charged with preserving our state forests. The Secretary ensures the integrity of our democratic government that balances our freedom and equality by facilitating both accountability and transparency. The Secretary is responsible for our democracy from which we preserve our freedom and equality. When our elected officials in all branches of government are not serving in the public interest, our election processes allow us to choose a different legislator, judge, or executive officer (such as the Secretary of State itself). Oregon was one of the first states to implement other controls on elections to allow more direct democracy when our representative government is not working adequately. This is why Oregonians pioneered in 1902 and subsequent years, the “Oregon System” of initiative, referendum, and recall to hold officials to account directly. The Oregon System was emulated and spread to a couple dozen more states in the country. When the legislature fails to act or acts inappropriately, we can use the initiative and referendum systems to legislate directly or to veto a bill directly. When a specific official (legislator, executive officer, or judge) needs to be replaced immediately due to a breech of the public trust, we have the recall system. Furthermore, the office of Secretary of State manages the state auditors and handles archiving and publishing certain government and business data. Auditing ensures that our tax dollars are spent according to law and that our executive officers are being effective in their roles. All of the above accountability processes, from elections to auditing to archiving and publishing can only operate with an emphasis on transparency as a fundamental principle. Accountability requires transparency. Seth Woolley has the right philosophical, technical, and administrative experience to make our democracy better for all Oregonians. Seth has, as no other candidate has, the technical capability and grass roots support base to lead and perform advanced auditing, advance our election systems and methods, and implement campaign finance reform. The Bend Bulletin editorial board wrote, "[W]e were impressed with Woolley's knowledge and analysis of ballot and voting issues, and believe the winning candidate would do well to engage him in a reform process." Willamette Week wrote, "Pacific Green Party candidate Seth Woolley is a whip-smart government wonk." Voting Woolley sends a powerful message that everyday Oregonians deeply care about protecting both our republican form of government (electing representatives) and our direct democracy (ballot measure initiatives) from abuse by big money. Seth Woolley was born and raised outside Seattle on a half acre lot in unincorporated Snohomish County and attended public school in the Monroe School District at Maltby Elementary and Monroe Middle and High Schools. He excelled, participated in academic competitions, and spent most of his free time from the age of seven on the computer writing software when he wasn't in academic competitions, helping out the athletic director by managing athletic teams and doing announcing and scoreboard duties, editing the yearbook, or writing ASB candidacy speeches. 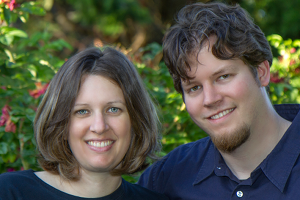 Seth then attended Willamette University, participated in the Campus Green Party, and majored in computer science until he went into independent consulting. He then worked for local area businesses as a computer consultant contractor in software and systems until moving to Portland to work at Broadway Medical Clinic in the Hollywood District. Seth's wife Rickie is an Oregon public school teacher. They met in Salem at Willamette University, where she attained a bachelor's in politics and master's in teaching. She's currently teaching English Language Development at Gresham High School. 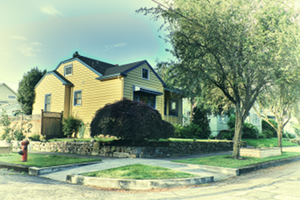 They live in the Grant Park / Alameda area of Portland in a small 1926 bungalow. Seth works remotely from his home office and the home office of another coworker by Raleigh Park in Northwest Portland. 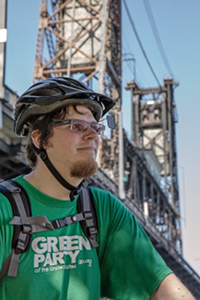 He enjoys bicycling around Portland and the northwest and puts thousands of miles on his bike every year. Few in the world get to enjoy Green cities and states like Portland and Oregon. Seth feels the benefits of a high quality of life should be enjoyed by people of all types, including future generations. In conversations with Oregonians every day, Seth knows there is a strong consensus to preserve Oregon's native and natural beauty based on the principles of deep ecology. Just as important, our state has an active citizenry with vibrant discussions. Seth wants to preserve this culture and history of of deep democratic dialogue just as much as Oregon's nature. In pursuit of this, Seth is campaigning state-wide by bicycle with a month-long car-free campaign tour starting in mid-September to engage in a discussion with Oregonians of all types. In 2006, recruited by his free software expertise, Seth went to work for a some venture-funded startups in the San Francisco Bay Area. One was Panasas, a maker of distributed storage clusters. 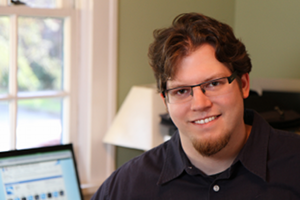 Seth worked on the Quality Assurance automation infrastructure writing tools for test writers. In a short while he was recruited to deCarta, a leader in the navigation and spatial database industry to work on distributing and parallelizing the database analysis and conversion software to reduce time-to-market. After succeeding in developing the supercomputing cluster management software, he moved to writing distributed processing-based compression algorithms to compact (while retaining performance) worldwide mapping data for embedded devices (in-car and personal navigation devices). This involved working heavily on the core spatial database engine. Seth then fixed a number of critical performance bugs in the inner core of the engine by auditing and proving heretofore undocumented “magic” that most people in the company would not touch because of the complicated computational geometry inside the clipping and topology handling algorithms. Seth then rewrote the company's mobile navigation turn-by-turn guidance engine and is now working on improving much of the remaining filtering processes. While at Willamette, Seth began contributing source code updates to a new Linux computer operating system called Source Mage GNU/Linux, particularly to the initialization system, package manager, security patches, and porting fixes. In just a few years while using Source Mage for consulting purposes, he applied over a thousand code modifications with many feature additions and studied Linux security and quality testing automation systems. 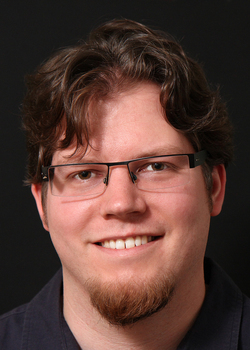 He created a source code cryptographic verification system designed for source-based Linux distributions and an open voting mechanism for the governance of Source Mage that relied upon cryptography. Seth performed penetration analysis of businesses and software, contributing patches to fix well over a dozen “zero-day” (novel) security issues. He performed the first real security audit of the now famous WordPress blogging platform and found three SQL injection vulnerabilities in fifteen minutes of analysis. He also audited the WordPress HashCash anti-spam system, fixing fundamental logic flaws. When recruited by security firm “ScanAlert”, he responded by reporting numerous vulnerabilities in their own website. In 2004, he inadvertently noticed a set of major security vulnerabilities in the email management system for the John Kerry presidential campaign, which was promptly reported and fixed by the vendor, despite its already being penetration tested by an outside firm. The vulnerabilities provided administrative account details to their production network and allowed complete access to every file on their email servers. Seth also helped co-found the Portland bRainSilo Hackerspace with Nick Jacobsen, a location and community for electronic and software tinkerers and security experts. Seth, as a software engineer working on distributed management systems, knows that the proper functioning of complex systems is closely related to the amount of redundancy and how the redundancy is managed. Distributed clusters often use parliamentary techniques and quorum concepts to ensure resiliency. Free and open software uses a “many eyes” theory of auditing to ensure software quality. Redundant auditing. “Open” software now runs our financial system's technology, including “open” cryptographic algorithms to encrypt communications and the National Security Agency even has their own role-based security patches to Linux, the standard “free and open” computer operating system kernel. Most of Apple OS X, while not completely free and open is even based on “Darwin”, itself also a free and open operating system kernel. As a “free and open software” security expert, Seth applies this knowledge to how to ensure a functioning democracy. Find the fundamental weaknesses and then fix them with logical solutions. All laws from statutes, to rules and ordinances are like computer code but slightly more ambiguous and “inexact”. In fact, Lawrence Lessig, a nationally famous law professor and campaign finance reform advocate, made his name writing books about the relationship between laws and computer code — growing frustrated with how corporations had been buying laws to restrict the digital world of code, he turned his attention from suing to fix the laws (after he lost a case to overturn the Mickey Mouse Copyright Extension Act), to fixing the root cause of the problem: the campaign finance system itself. Long before campaign finance issues were major news due to Citizens United decision and the Occupy movement, Seth has been working for Public Financing of Elections and Campaign Finance Reform. In 2008, Seth ran for Secretary of State to implement Measure 47, which the Democratic Secretaries were refusing to implement. Seth was the only option for those who didn't want to vote out of fear and wanted systemic change. In 2010, Seth also supported the narrow election to keep Public Campaign Financing in Portland and ran a direct outreach campaign to educate voters on it. Seth and the Portland Green Party plan to help get it on the ballot for the 2014 election cycle. In addition to our campaign finance system, our election system is rigged to create a two party system by training the electorate that voting for alternative parties will elect the worst evil instead of the lesser of two evils. Since 2000, Seth has worked to implement “ranked voting” which solves the “spoiler” problem that creates a compelling reason for people to continue voting against their interests by voting for the second worst corporate candidate, just in case the worst corporate candidate might be elected with an inaccurate minority of the votes. Seth re-created the Portland Green Party and started fund raising for a ranked voting campaign using the now defunct charter review commission. With thousands of small donors, were it not for push-back from Portland's mayor and elected officials hamstringing the charter review commission, Portland might have had a chance to vote on this fundamental reform in 2012. Instead, the mayor (Adams), against the wishes of the old mayor who created the commission (Potter), wanted to push major reforms to the 2013 commission for a vote in 2014. Seth continues to work on this campaign and is planning for the next election cycle. The time is ready for ranked ballots and Instant Runoff Voting in Portland. Seth Woolley also was a primary activist against Measure 65 in 2008, that would go “backwards” and encode the two party system into law. He participated in debates against the chief petitioner and supporters and ran the primary website against it. The Measure went down in a two to one margin when people learned how bad it was for democracy. Finally, Seth also helped repeal a rule (HB 2614) that was passed in 2005 by the legislature with almost no public involvement that prohibited independent and third party candidates from seeking votes or signatures to get their candidates on the ballot from people who had already voted in the primary. This made it about five times harder to get on the ballot as an independent and as a result it barred well-known candidates from even trying to run as an independent. Seth along with moderates and activists of other parties worked to repeal this draconian provision and helped open back up non-affiliated/independent access to the ballot by a straight repeal of the bill (2009 SB 326). While other activists submitted written testimony, Seth showed up to testify and was shocked to find himself the only person in the hearing room who wasn't a government official, and the only person to give oral testimony. We need more people like Seth willing to stand up for independents who are so disenchanted from the process that they simply stop showing up and claiming their rights. In addition to working hard on fundamental reforms, Seth has been working to ensure transparency and accountability in the local election process. For the recent mayoral race, Seth created a comparison of all the major candidates and their positions as well as a thorough analysis of their donation records and contributed to the debate on who was influencing what candidates. Without campaign limits, transparency is essential. For the upcoming Secretary of State race, Seth is working on and will publish more and more detailed analyses of the major candidates so people can see the influence of money. When newspaper reports started asking questions about Charlie Hales's time in Washington, it was Seth Woolley who had the moral courage to draft and submit a series of legal complaints regarding Charlie Hales's ineligibility to be Portland Mayor and his tax code violations. The Democratic incumbent Secretary of State is refusing to meaningfully investigate the issue. Seth is continuing to investigate this issue and there will be more to come as the campaign continues, as allowing tax avoiders the right to vote for taxes in Oregon by lying to two different Oregon agencies regarding ones residency should never be acceptable. Seth has been an elections administrator within the Green Party at various levels for many years and has helped count complex election methods that ensure proportional representation and allocate delegates. Advanced election methods such as the Method of Equal Proportions and a complicated variant of Single Transferable Voting have been used — both hand-counted and computer-counted. Seth also created a distributed voting system for Source Mage GNU/Linux that allowed public auditing of a secret ballot system since voting had to take place over the Internet. It uses advanced cryptographic digital signature one-way hash and asymmetric encryption functions to ensure all the requirements were met and was accepted by the community without issue. The system has been used for years without issue. In addition to administering elections in Oregon, Seth consults for the California Green Party on their computerized (but transparent) internal party election system. From mid-September to mid-October, the Pacific Green Party's campaign for Secretary of State will most of Oregon's 36 counties. The tour took 28 days, from September 15th to October 12th, and averaged over 50 miles per day. To make a scheduled debate in Bend, the tour cut out Vale, Enterprise and northestern corner and went from Baker City to Bend directly and picked up from there. The tour visited county seats in as many counties as feasible and helped build local chapters. Major events were scheduled in Corvallis, Ashland, and Bend, for example. The tour equipment was light, but had solar panels and smart phones for posts to Flickr, Facebook, Twitter, ViewRanger, and Chronicles of Earth. See the Contact and Connect section on the left for details. Incumbent Secretary Brown has been and continues to be a strident opponent of democracy. We need a real alternative to big-money, special-interest-backed, partisan-hack candidates from the duopoly parties. The Secretary's job is to protect our democracy rights, not systematically destroy them with red-tape rules, arbitrary interpretations, exorbitant fines, and higher bars. With the support of six figure donations from public employee unions who had long been battling Sizemore initiatives, Secretary Brown and Attorney General Kroger both claimed to have a mandate to curtail our direct democracy rights. When asked directly, few people would actually say that we need to roll back our direct democracy rights. People voting for Brown as a lesser of two evils did not get asked if they were doing so out of fear and did not support her stated desire to curtail direct democracy rights. Less than 51% of the vote is not a clear mandate to reduce one of our primary means to hold the legislature and our executive officers to account. Nevertheless, Brown's reputation as an opponent of direct democracy rights while in the legislature continued during her tenure as Secretary, and it wasn't limited to conservative causes. One of the progressive marijuana initiatives was slapped with a $65,000 proposed fine due to dubious accusations that they were paying per signature. Every initiative campaign knows it is illegal to pay per signature. Instead they pay hourly with a bonus structure. Within the progressive initiative gathering community, there is now a developing fear of hiring signature gatherers off of Craigslist instead of experienced signature gatherers due to the impression that one or two (out of hundreds that get hired) may become disgruntled and lie about how they got paid, leading to absurdly large fines. Remember that in this case only a few petition sheets were gathered by the accusers out of many thousands needed to place an initiative on the ballot. Even if the accusations were true, $65,000 is enough to end a progressive campaign overnight. Many run with a smaller budget than that. Brown's office has helped to create a severe and lasting chilling effect on progressive initiatives so now virtually no progressive initiatives aside from those funded by unions and marijuana activists, make the ballot anymore. With unlimited corporate donations to candidates, Democrat and Republican alike, our initiative system is one of the last systems of accountability we have against corporate and special interest greed. The Secretary's job is to protect our democracy rights, not systematically destroy them with red-tape rules, arbitrary interpretations, exorbitant fines, and higher bars. When we had a spate of mostly conservative ballot measures, the legislature was controlled by super-majorities in both houses and all state-wide offices with Democrats. The only route left for conservatives was to use the initiative process. To underscore the disproportionate application of rules, the Secretary recently was caught failing to promulgate the necessary rules against public campaigns using state resources and a mere $75 fine against a few employees in the Portland Public Schools caught advocating for a bond using taxpayer resources had to be overturned by the courts. The Secretary cares little about certain rules to even make them official rules while other rules lay down exorbitant fines to entities not funding her campaign in large amounts. Even if that were a mere accident, the appearance of impropriety is still quite damaging. Furthermore, as a result of the six figure donations from public employee unions, investigators hired by the public employee unions to go after anti-union initiatives are now paid for by the state and assigned to go after petitions. Hiring investigators is generally a good thing, except when it is favoritism for a donor taking resources from other departments, such as auditing, that goes underfunded and may return much more on the cost. News reports looking into the effectiveness of the investigators have found they didn't amount to much success in their investigations. Petitioning rules are easily enforced by citizens reporting violations of the law and we probably don't need to spend much if anything trying to ferret out violations that occur in public with the general public being themselves solicited. Ironically, the appearance of impropriety in the above cases wouldn't exist if she would enforce campaign finance laws already on the books since 2006 Measure 47. In addition to ballot measures, the signature gathering process is also used to get voter statements in Oregon's innovative and accessible voter guide (in lieu of large fees). When our ballot measure signature gathering processes are interfered with, so too are progressive and conservative candidates unsure of how to follow the process. In 2010, new interpretations appeared that disqualified a number of entire petition campaigns for the voter guide using a simple over-reach of an administrative rule regarding how to turn in signatures that had already been vetted by the county clerks and returned to the campaigns. Secretary Brown interpreted a requirement that the petition sheets be "attached" to statements as requiring the stapling of the two documents. Many candidates spent days gathering signatures in order to qualify for the entry of a statement into the critical Voter's Pamphlet without having to pay a crippling fee, and saw the total number of valid signatures certified as meeting the requirements by the County Election Office, only to see the entire petition rejected by the state on the grounds that no staple-holes were visible as proof of the required "attachment" of statement to petition sheets. Why not? The petitioner was merely using a clip-board instead of a staple to make it easy to flip to the statement on the next page to read it aloud before asking for a signature. The petition signature gatherers (in at least one case, the candidate directly solicited all signatures) were all considered guilty until proven innocent with an arbitrary piece of evidence that fit only one type of attachment. The universal email attachment symbol is a paper clip, not a staple. So too would a paper clip have been rejected for not creating staple holes. Based on no real evidence Secretary Brown thus threw out fully-completed and verified signatures as if they meant nothing with no coherent basis under her own rules. Apparently meeting Brown's rules requires reading the minds of administrators at her office. Attacking the initiative process and signature gathering only ensures that both are no longer accessible to both conservatives and progressive causes. The initiative, referendum, and recall system is one of the mechanisms of accountability that Oregon has used for over a hundred years to enfranchise minorities against entrenched majorities. We must be sure to preserve it not just for now, but for future generations. While Seth does not approve of the Supreme Court's ruling against banning payment for signature gathering, since paid signature gatherers are allowed, we should ensure the process is accessible and fair to all. If we are going to reform the initiative system, we should find ways to improve access to underfunded ideas to ensure the only items on the ballot are not ideas with only special interest money behind them. Please check out our issues page covering possible reform ideas that would solve the campaign spending issues without unduly restricting our cherished initiative rights, including using an initiative primary process. the move was done at the last minute, without notification, preventing both candidates from understanding the reasonable terms of the process in advance. The Secretary appears to be using a last-minute and erroneous application of the law to favor election results for her own party. Take for example the 2012 Commissioner of Bureau of Labor and Industries (BOLI) race which, though officially non-partisan, had two well-known partisan candidates from the two major parties. The media has described this as no less than a bombshell. Why? Because the Republican had a better chance to win at the usual election date of the primary without a high turnout and contested presidential election. Moving the primary elected (or nominated) BOLI race to the general election thus turns into a large advantage for the Democrat. So how could this be, considering that in past and future elections it would be elected at the primary, normally? One of the lesser-known offices in Oregon, the BOLI Commissioner is still normally elected to four year terms. In 2011, the legislature decided to move the election date from presidential election years to non-presidential election years. In order to do this, they made the 2012-elected term only two years instead of four so that the next election would come up in 2014. The legislature provided that, "the term of office of the Commissioner of the Bureau of Labor and Industries elected at the general election held on the first Tuesday after the first Monday in November 2012 shall be two years." (Note to ORS 651.030). That text was only intended to set the term of office, not move the election date, as the election date is not specified by the rest of ORS 651.030, but the usual term of four years is specified in section 2. Secretary Brown used the off-hand mention of "general election" to say that the election needed to be moved from the usual primary nomination processes (as provided for in ORS 249.088 et seq.). When pressed on this, Brown is said to defend herself with a new twist by saying that ORS 249.091 required that if only two candidates filed, they must be nominated directly to the general election. However, the law is clear. ORS 249.088 applies to non-partisan elections and 249.091 applies to some exceptions and to fill a vacancy, neither of which the BOLI race was. This is a non-vacancy election — the office was occupied, even though it was not to a full term. It is not filling a vacancy, as the attorneys for the Republican as correctly pointed out in their legal complaint filed in Marion County Circuit Court. One could argue that it is better that BOLI be elected at a higher turnout election, even though law says it isn't supposed to have been done there first. But also critical to democracy is that the move was done at the last minute, without notification, preventing both candidates from understanding the reasonable terms of the process in advance. The ORESTAR reporting system which takes certain candidate filings and records the election date had not been changed even after the news broke. In defense, Brown was said to not have known about the decision of Director Trout to move the date for a week, as if that deflected responsibility. But make no mistake, what happens in Brown's office is Brown's responsibility. She hired Trout and she must make sure he is performing the duties of the office in an appropriate manner. The Democrats, with Brown's help, thus again successfully squashed an attempt to open up participation in democracy. In the lead up to the 2012 partisan primary, the Republicans voted, under the influence of its more moderate wing, to open up its own primary for state-wide offices. Oregon has a history of partially open primaries, including in 1998 and 2000, before universal vote by mail, when the Democratic Party voted to allow people to request, at a voting booth, a Democratic Party ballot. Parties also have the right to establish their own rules under ORS 254.365(2). There is no requirement that they shall only receive a partisan ballot only if they state a desire to vote beforehand. Further, in the provision requiring where ballots be sent, 254.470(3)(c), there is no similar requirement. It is a requirement to whom the state must at least send ballots, but not a restriction to only that list. The Republican Party requested that ballots be sent to all non-affiliated voters so that they could choose to participate in the Republican partisan primary. It makes sense, since before vote by mail, anybody at a voting booth could have simply requested their ballot the day of the election. Yes, it means more ballots may be printed, but that is a small price to pay for increasing participation. Hundreds of thousands of ballots are printed and never used by even registered voters and their request wasn't any more a security risk. The Democratic Party should have also requested the same openness for their own nomination process. Seth has successfully advocated that people should be able to participate in more than one nominating process, by working to pass 2009 SB 326 that repealed 2005 HB 2614, which restricted participation to only one party. Thus in the current state of law, there is nothing inconsistent with law if the Secretary of State wanted to provide open primary ballots for the Republican Primary to all non-affiliated voters, or anybody else who was eligible under their own rules to vote in their primary process. Instead, Brown acted like she was in favor of it, while stating that it required a law change. That was wrong, which you can see by reading the aforementioned Chapter 254 statutes (Sections 365(2) and 470(3)) yourself. But it forced Republicans to lobby members of her own party so that she could deflect the blame away from her and on to Tina Kotek and the Oregon Democratic Party. The Democrats, with Brown's help, thus again successfully squashed an attempt to open up participation in democracy. Trout's interpretation reverses a long-standing precedent that other minor parties have enjoyed despite the fact that Brown must interpret the rules with consistency and equally. Seth Woolley and the Pacific Green Party filed a complaint regarding Secretary Brown's interpretation of ballot access laws in Marion County Circuit Court. Ballot access is the right of a party to nominate candidates for the ballot. In 2008, Seth Woolley ran against Brown for Secretary of State in order to provide options and ensure ballot access for the Pacific Green Party. Seth well-exceeded the requirement for continued ballot access for the Pacific Green Party. In 2010, the Pacific Green Party decided not to run a statewide candidate for various reasons in each position. Director of elections Trout then notified the party and Woolley that it no longer had statewide access unless it registered more voters for the ballot it didn't need to before when we asked about our ballot access status. The law regarding minor party ballot access is very lengthy with ambiguous indirect references that can be interpreted a number of different ways. It is the Pacific Green Party's position that the 2008 run for Secretary of State met the minor party requirements for “electoral success” and should have ensured ballot access for four years. Instead Trout is asserting that the Pacific Green Party must get 1% every general election. Even if that were true, initial ballot access was statewide and qualified the party for all sub-districts. Trout is now insisting that the Party wouldn't be qualified even in districts where it ran candidates that received over 1% of the vote district-wide directly. Trout's interpretation reverses a long-standing precedent that other minor parties have enjoyed despite the fact that Brown must interpret the rules with consistency and equally. Furthermore, Trout insists that state-wide access cannot be attained despite the fact that all congressional candidates exceeded 1% of the vote in total. Clearly the party has demonstrated the spirit and intent of the law. If the language of the statute provides enough interpretive wiggle-room to arbitrarily restrict ballot access and destroy the existence of a party, it contains enough freedom to follow an open interpretation of ballot access, too. Fortunately there was one sure route that ballot access could be preserved for the Pacific Green Party. That was if we registered enough new members to exceed one half of one percent of the total registrants. Knowing that legal remedies would be delayed (and indeed they were -- they failed to respond to the complaint in the legally required time as we found out later), the Pacific Green Party dedicated itself to a massive registration drive. The Party knew its primary voter based was in Portland, so all eyes were on the Portland chapter. 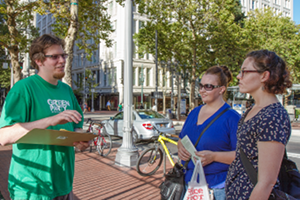 Under Seth's leadership, the Portland Green Party increased the size of the Pacific Green Party membership in Portland alone by 60% in two months by registering over 2000 new registered members. Two weeks before the deadline, we were notified by the Secretary of State that we exceeded the most recent barrier to access they had placed upon us. After attaining ballot access, the party needed not only access to the ballot, but to appear in the statewide voter guide. The Party had then to collect thousands of signatures to be placed on the voter guide or pay tens of thousands of dollars in fees that had been tripled only recently. The legislature and Secretary's office were both hard at work changing rules regarding petitioning -- some candidates didn't realize they now had to find people only in their district (a new rule), and they had to turn in signatures two weeks before the deadline to be "counted in time", depending on how busy the Secretary or Clerk's office was. If you turned them in on time but with not enough time for their office to check the signatures before the turn in deadline, they would charge you the fee without being reimbursed later when your signatures validated. Seth then personally coordinated petitioning for Jill Stein's, Christina Lugo's, and his own statements, collecting and validating thousands of signatures in the process. Secretary Brown is not interested in investigating clear examples of election fraud with publicly available evidence when it doesn't suit powerful interests. On April 20, 2010, incumbent Secretary Brown published an op-ed in the Oregonian describing how intent her office was to investigate supposedly rare instances of voter fraud. But during the 2012 Portland mayoral race, an issue came up regarding questionable conflicts between one of the candidate's residences for voting and tax purposes. When the reporters asked Trout about it, he said there wasn't enough information and without a formal complaint, nothing could be done. Since Seth is quite familiar with election law, he investigated the issue himself and found that there were issues based on undisputed facts published in articles in multiple papers. He thus filed an election fraud complaint with Brown's office laying out all the evidence, pointing to over a dozen felonies. In less than 24 hours, all three jurisdictions washed their hands of the issue without even addressing the materials in the complaint. The same day he replied and pointed out the error in the analysis made by the Multnomah County director of elections and the Secretary refused to investigate herself. Instead, she decided to defer to the advice of the county clerk. Secretary Brown's job is to be the chief elections officer and to fully investigate election fraud complaints. It is not to defer to a clearly erroneous judgment made by a much lower political appointee. The lesson learned is that Secretary Brown is not interested in investigating clear examples of election fraud with publicly available evidence when it doesn't suit powerful interests. In 2009, as a result of strong pressure by Seth Woolley, Willamette Week, and others, the state legislature passed Senate Bill 326 to both open up independent access to the ballot by repealing 2005 House Bill 2614 (later ORS 254.069) and explicitly allowing parties to do so-called “cross-nomination”, where up to three parties can be listed next to a candidate nominated those parties. But before the law could take effect, in 2010, Brown's director of elections Steve Trout initiated a rule-making process that would print party abbreviations rather than names next to candidates on the ballot, depriving candidates proper nomination labels for those who have acquired ballot access through the hard work of petitioning, registration, and electoral success. Minor party advocate Dan Meek, Seth Woolley, and others, pointed out that the statute as passed described the manner the text would be printed on the ballot and it specified that it would have the party name (ORS 254.135). As a result of continued action, despite the illegal move, Secretary Brown was sued to prevent this. It is currently still working its way through the courts even though it only stood for one election cycle before the director Trout backed off and said they did not need to use the three letter abbreviations anymore because Lane County had updated their election system. Director Trout insisted on violating a democracy reform law state-wide by promulgating an clearly illegal rule for what turned out to be just one election because one county potentially ran into a possible technical problem six months before the election. In Seth's testimony, a number of alternatives were provided, including allowing the candidate to select a reasonable abbreviation that fits within technical character constraints. If there must be violation of the intent of the law due to a supposed computer software printing limitation, it should at least be followed to its maximum possible spirit and violated as narrowly as possible. Instead, legal action continues and taxpayer dollars are being spent to defend the continued interpretation of Director Trout that abbreviations may still be necessary in the future, despite no expected need this election cycle, even before minor parties have submitted all of their cross-nominations. be ever vigilant to ensure that the entire system of voting is transparent and accessible to open auditing from top to bottom. After the 2008 election, many were excited to see former Director Lindback move on, but then Brown hired Steve Trout as the new Director of Elections. Seth Woolley immediately responded with an open letter questioning the hiring of Steven Trout. Trout had a well-documented history of advocacy for election system vendors against openness and transparency efforts in California, and the questionable implementation of electronic voting in San Bernadino County. 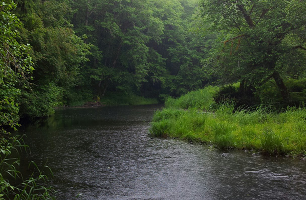 Many in the community, including other Greens and the Oregon Voter Rights Coalition, were concerned about the hiring of Trout, wondering how Oregon might be affected. In 2011, House Bill 3074 was being challenged by others questioning Trout's intent on the sensitive issue of electronic voting. The bill allowed the use of email voting in addition to facsimile voting. As a security expert, Seth was concerned that facsimile voting is inherently insecure, so he was willing to see email voting as that allows a secure and encrypted envelope. However, Seth could only support the bill if the rules that implemented it were strong enough to require federally-recognized encryption processes standardized by the National Institutes of Standards and Technology. Other rules make the proper references to ensure security, but what Trout implemented in OAR 165-007-0310 was much worse than one could imagine. It required only secret rules to be submitted to the Secretary of State by counties with no reference to encryption processes as standards. There are three concerns. The first is that election processes must all be accessible to the public and transparent. This rule requires the exact opposite. Second, it may be against statute to require this level of secrecy as this doesn't specifically deal with security keys or truly secret processes only, but includes other election processes, too. Third, by not specifying standards, counties are free to submit rules that allow the sending of ballots in the clear, no better than sending a ballot as an unencrypted post card. Since this is targeted to overseas and military voters, it could be intercepted by the NSA and monitored by the government without a warrant. So it came to no surprise when we saw that as an accessibility initiative, the Secretary of State had spent money to implement computer assisted voting by using iPads with proprietary software. If we must use proprietary software it must be openly published for all to audit. Our Secretary of State must be ever vigilant to ensure that the entire system of voting is transparent and accessible to open auditing from top to bottom. The incumbent Secretary on a campaign visit toured a ship-building factory in Portland to tout a recent audit her office published regarding aligning job training programs to perceived demand. While that sounds well and good, it misses the point for two reasons and implementing the conclusions of the audit would fail our education system. First, education, instead of being about job training, should be about creating civic-minded, critical thinkers and an active citizenry. Second, we do not have a shortage of skilled workers, instead we have a shortage of experienced workers while large companies are unwilling to pay properly for workers with experience nor provide non-classroom job training themselves. Thanks to campaign donations from large corporate and industrial interests, current staff are concerned about so-called “middle-skill” workers. Rather than thinking about low, middle, and high skill amounts in a linear classification of employability, we should be preparing students to tackle complex problems with innovative, outside-the-box thinking and problem solving skills. Everybody should be educated to acquire high levels of skill through experience, and the types of jobs called "middle skill" are actually just jobs that don't require large amounts of background knowledge like doctors, scientists, and engineers. The proper term for "middle-skill" workers is middle-educated workers, as they require less direct instruction schooling, but their skills still require high levels of on-the-job training akin to apprenticeships. Job-specific education is going to be a part of our education system, particularly when large corporations have captured the regulators and policy-makers with massive campaign donations and a desire to privatize the benefits of socialized, but job-specific, training programs. But we must avoid the push to create worker automatons trained for specific jobs with subsidized on-the-job training sent directly to the lower rungs of industry. Indeed, repeated tasks that require the most trained skill sould be gradually supported by automating the easiest parts until it becomes cost-effective to automate the most complicated parts. The most successful doctors are using high technology to their benefit and increasing quality of life and outcomes. But that high technology came from basic research funded in publicly funded university labs or corporations running basic research as a requirement of government contracts. But the universal adoption of basic research comes from small businesses and startups that are our most fertile synthesizers of basic and fundamental research. We should be building machines to do our bidding (as opposed to making ourselves machines) and promoting music and art education, things that heighten our sense of the aesthetic while leading to a better understanding of mathematical patterns that so beautifully describe nature. To preserve our natural systems while we have the sophomoric power to destroy it with naïve corporate-minded thinking, we must instead learn to understand nature, including our humanity, in all its wonder. Education must build better brains. If we need more or better ships, good brains will figure out whether and how. The Secretary recently implemented a proprietary document management system made by HP called TRIM and announced it as a special public-private partnership where she's going to spend big money (but a little bit on support in Oregon) and then get other jurisdictions to implement it and derive economies of scale. Using proprietary systems with big vendors may be a way to avoid getting fired at a large business, but it's not an effective way to run a progressive state agency. The Archives Department and indeed the entire Department of Administrative Services should consider open source alternatives and hiring Oregon programmers to make open source code usable by all agencies without incurring additional license fees. Seth has a comprehensive openness philosophy and strategy discussed in the solutions section. This campaign only accepts individual donations under $500. Use your Oregon Political Tax Credit to Take Back Democracy. Click the button above to donate on-line using Authorize.Net secure servers. 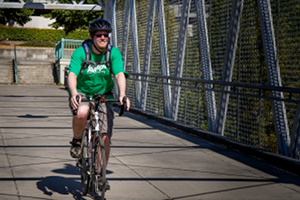 The Oregon Bicycle Tour for Secretary of State and the Pacific Green Party is on. We campaigned by bicycle tour from mid-September to mid-October going 1500 miles and visiting most county seats. 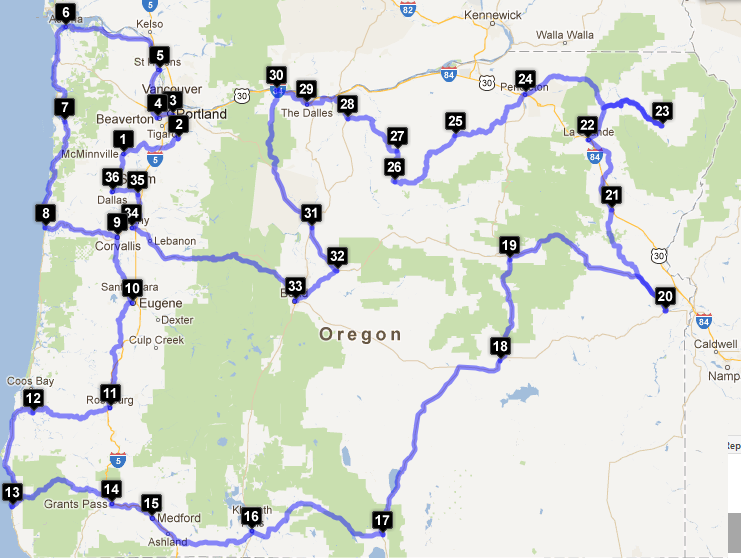 See the Seth's Background / Oregon Bicycle Tour section for more details. House parties are vital to our voter education and fund raising strategy. Volunteer to host a party and our team will help you spread Oregon's democracy. Democracy begins at home. October 18: 7:30pm Marsh Hall Taylor Audit. More campaign events, forums and debates coming soon. Contact debate sponsors to ensure equal access to debates. Connect with Pacific Green activists in your community. © 2012 CC BY-NC 3.0. Seth Woolley: design and text. Black Mirror Photography. Built with shell scripts and a text editor. Valid XHTML 1.1 & CSS 3. No scripts, cookies, or tracking.